A computer that was handmade by Steve Jobs and Steve Wozniak the “Apple 1″ is up for auction. Price? Expensive of course, $180,000 or best offer. 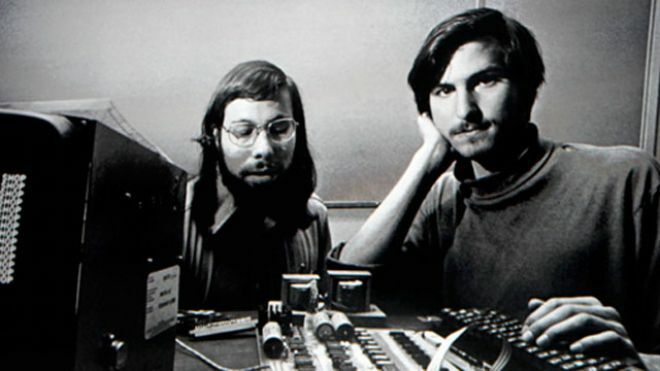 The founders of Apple Inc., Steve Jobs and his tech partner Steve Wozniak used to hand build their products. Apple 1 was in build in those days, the year was 1976. It was the first-ever commercially available computers that had a keyboard to type letters on the screen. While like all Apple products the Apple 1 was no exception it was a hit among hobbyists. Later it was spotted by Peter Terrell who ordered 50 to sell in his specialty chain, Byte Shop. He paid $500 per piece, Steve Jobs and Steve Wozniak build and delivered them in just 30 days. Now, for the technical specification of the computer. It had 8K bytes, 16 pin with 4K of memory. This is to be auctioned off by auction organizer Sotheby. Basically a stripped-down 9-inch-by-15-inch (23cm-by-38cm) motherboard, the computer sold for $666.66, with four manuals but no cabinet, monitor or keyboard, said Sotheby’s. Of the 50 models made for the shop, just six still work — and the unit going under the hammer is one of the six. Sotheby’s didn’t identify the seller. The sale will take place on June 15. This would be an absolute treasure for a Apple fanboy. We are really exited on how high it will go under the hammer. Samsung Galaxy S III Hits 20 Million Sales!! iPad 5 - No Changes in Screen Size? Previous: Google Nexus 7 Tablet PC Out? Apple to launch smaller tablets? Economy is as broken as it was 4 years ago?